Making complicated organic molecules is like solving a Rubik’s cube. Organic chemists need to design sequences of reactions to carefully build up parts of a molecule, while maintaining the structure at other sites. Although chemists have developed many ingenious ways of performing chemical transformations, some chemical reactions remain out of reach. 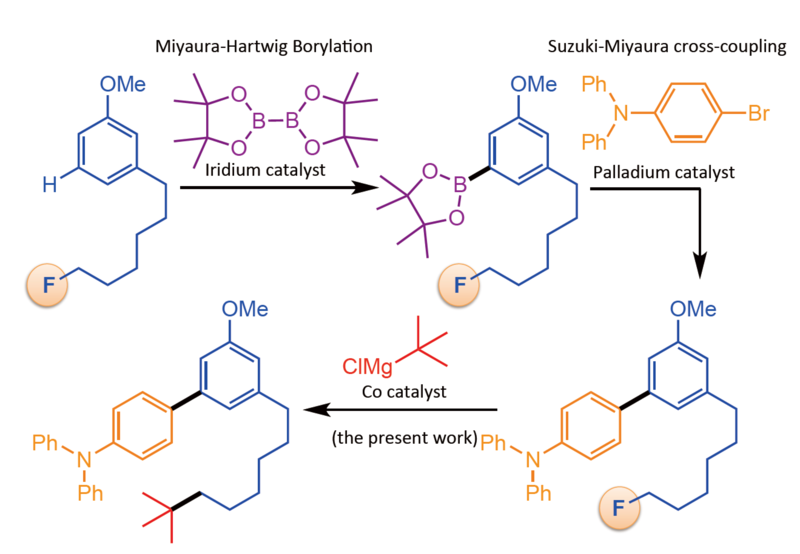 To learn more about this research, please view the full research report entitled "Co-Catalyzed Cross-Coupling Reaction of Alkyl Fluorides with Alkyl Grignard Reagents" at this page of Organic Letters.